The Accountant is a 2016 American actionthriller film, directed by Gavin O’Connor, written by Bill Dubuque and starring Ben Affleck, Anna Kendrick, J. K. Simmons, Jon Bernthal, Jeffrey Tambor and John Lithgow. The film follows a small town certified public accountant who makes his living cooking the booksfor dangerous criminal organizations. The film premiered in Los Angeles on October 10, 2016, and was theatrically released in the United States on October 14, 2016 by Warner Bros. Pictures. 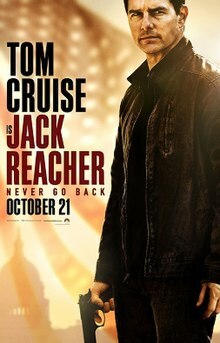 It received mixed reviews from critics and has grossed $9 million. Christian Wolff (Ben Affleck) is an autistic mathematics savant with more affinity for numbers than people. Using a small-town CPA office as a cover, he makes his living as a forensic accountant for dangerous criminal organizations. With a Treasury agent (J. K. Simmons) hot on his heels, Christian takes on a state-of-the-art robotics company as a legitimate client. As he gets closer to the truth about a discrepancy that involves millions of dollars, the body count starts to rise. 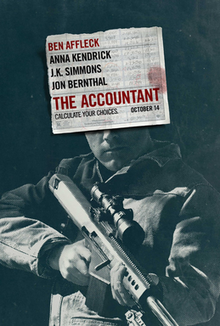 Find The Accountant and see the new trailer here. 10 books at +/- $275.00/ea is $2,750.00 The remaining $750.00 of our budget will go toward prize shipping (Notice we are not charging you awesome Kickers shipping on ANYTHING.) What is left after shipping, if anything, will go toward paying the www.mrmathias.com; webmaster (DesignCreatives) to add the new titles and covers to the M. R. Mathias website.